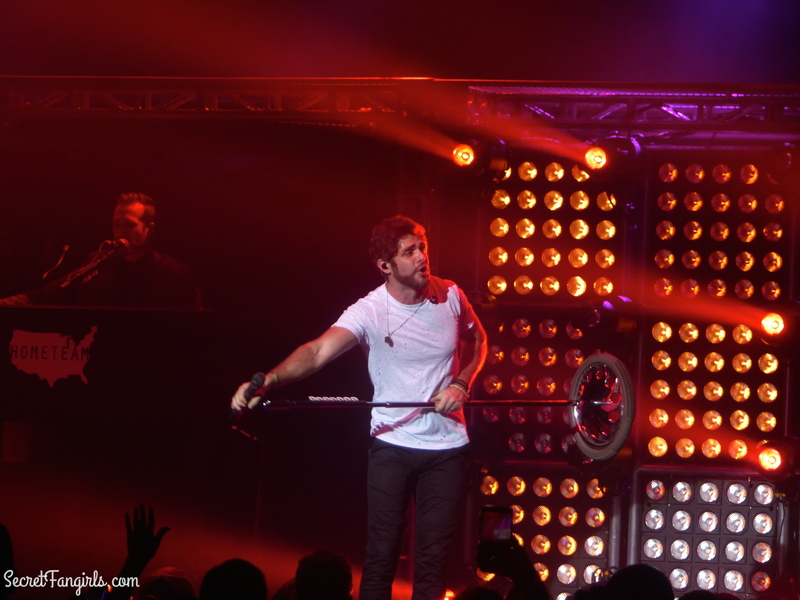 Thomas Rhett & Brett Eldredge kicked off the Suits and Boots Tour in style last night, with a sold out show at NYC’s Terminal 5. 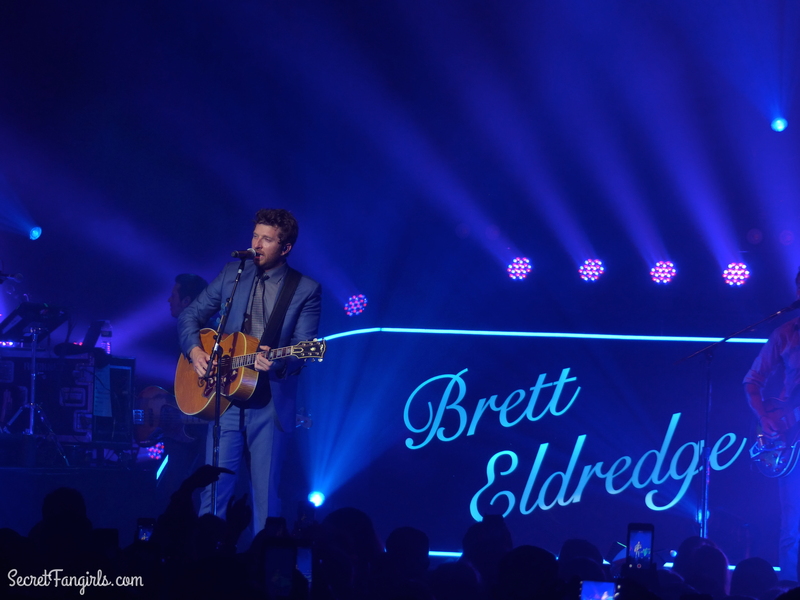 The duo are the latest artists to headline CMT On Tour, which showcases the best rising talents in country music. 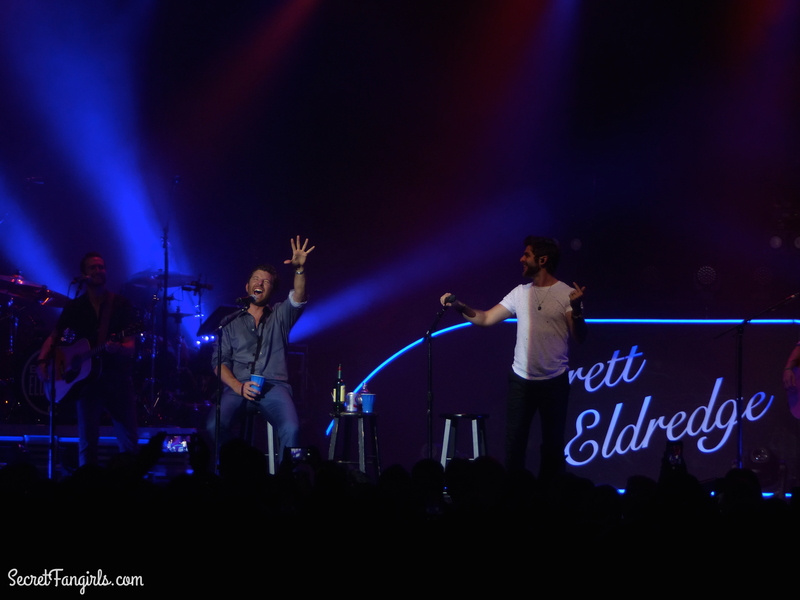 To make it a true co-headlining tour, Thomas & Brett will flip a coin each night of tour to decide who goes on first. Thomas won the toss and elected to open. 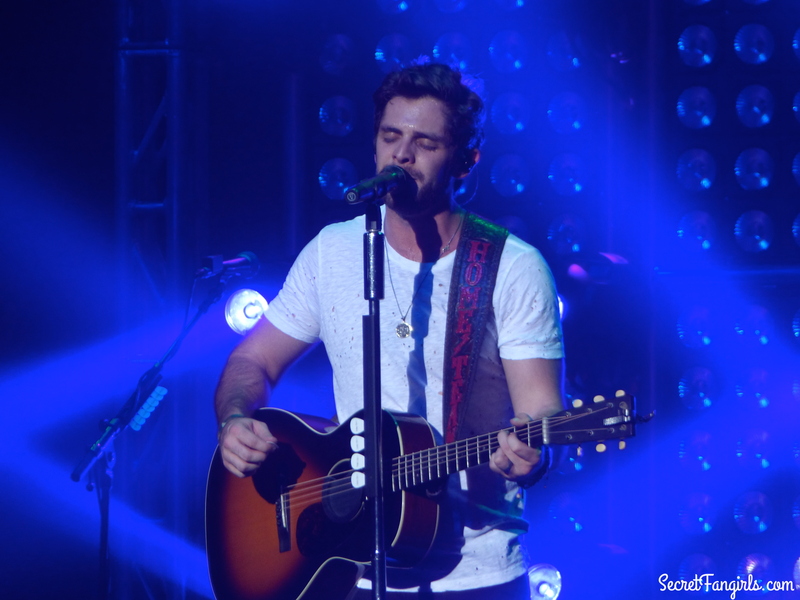 If we had to sum up a Thomas Rhett concert in one word, it would be FUN! Thomas does his best to make sure that each and every person in the room is having the time of their lives and feels like they are a part of the show. Whether he is shaking his south side or showing his softer side, Thomas is great at connecting with the audience. With his new album, Thomas is bringing lots of soul and funk into country music. The title track from his new album, “Tangled,” moved seamlessly into a cover of “Uptown Funk.” Tracks like “Anthem” and “Vacation” made it impossible not to start dancing along with him. We think TR says it best himself: “This is the beat that puts the fire in your feet gives you the license to be a little crazy.” The energy in the room was off the charts by the time Thomas left the stage. 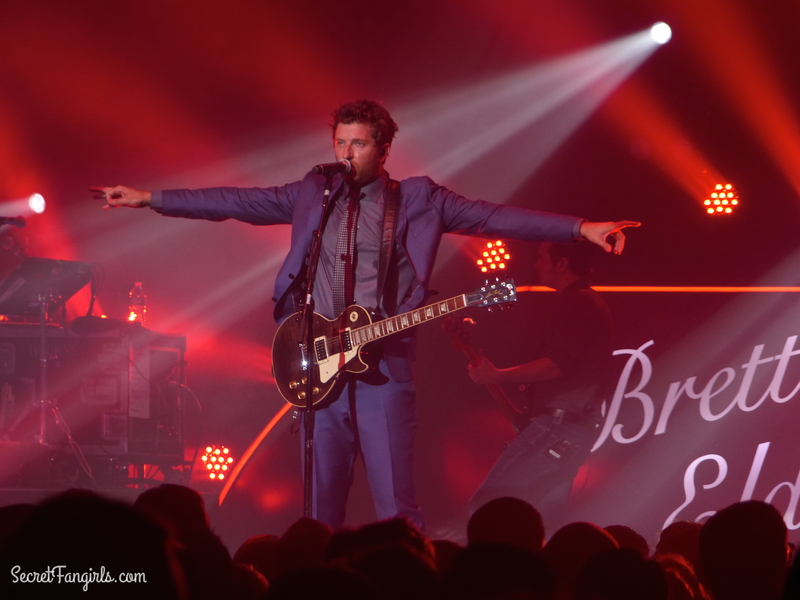 After a set change, Brett Eldredge emerged, launching right into his hit “Beat of the Music,” rocking a shimmery blue suit. 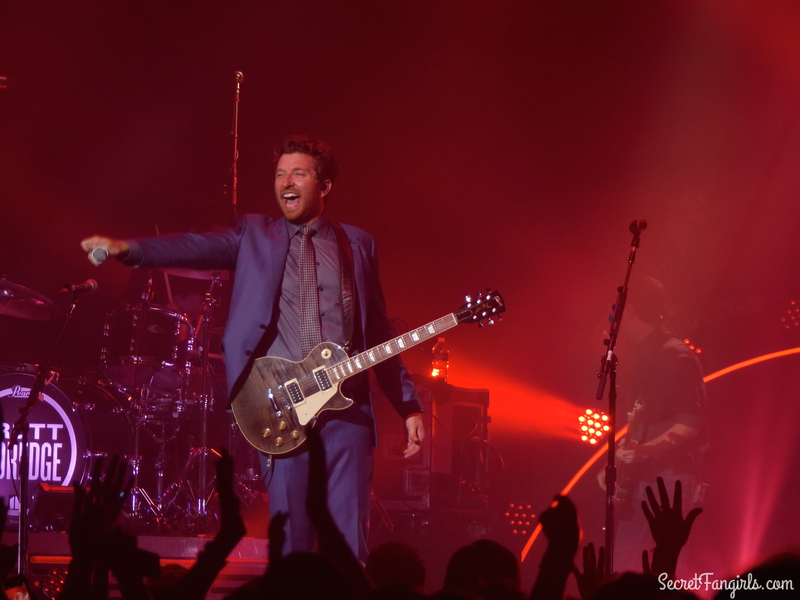 The “Suits & Boots Tour” is an interesting dynamic: Brett’s style is more of a smooth crooner, in contrast with Thomas’ funky vibes. An epic singalong occurred to his #1 hit “Mean To Me.” We’re talking dudes up on each others shoulders epic. 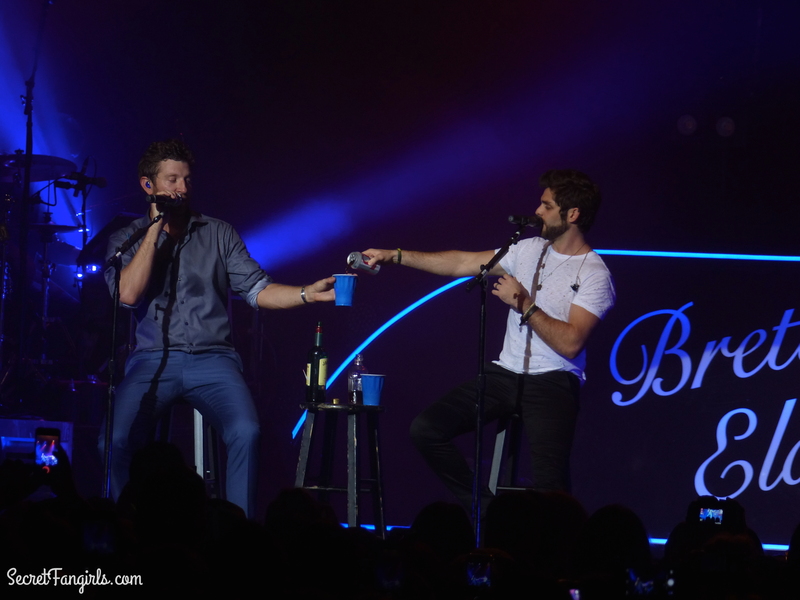 Both Brett and Thomas returned to the stage for the encore, pouring each other celebratory drinks. 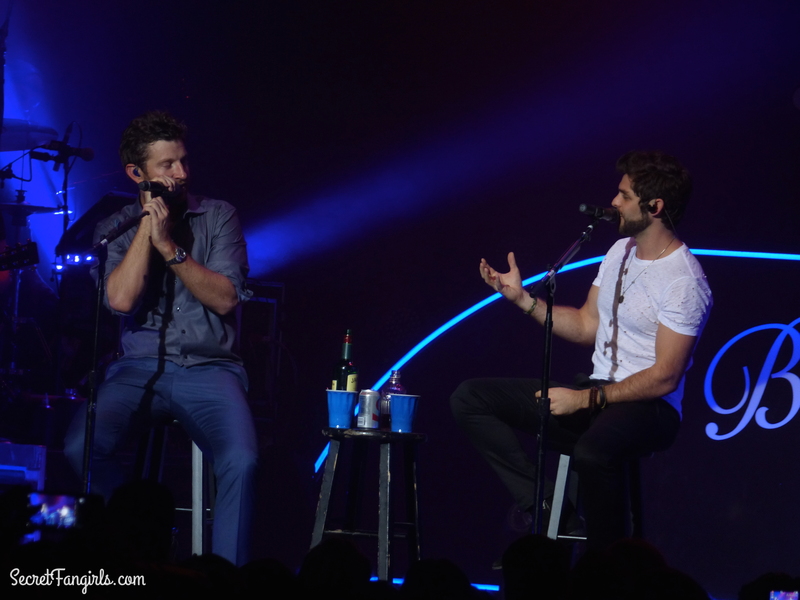 “Thomas Rhett gives Brett Eldredge Advice Time” was one of the highlights of the show, as they launched into a medley of cover songs related to Brett’s girl problems. We loved seeing the two interact and show their unique personalities. 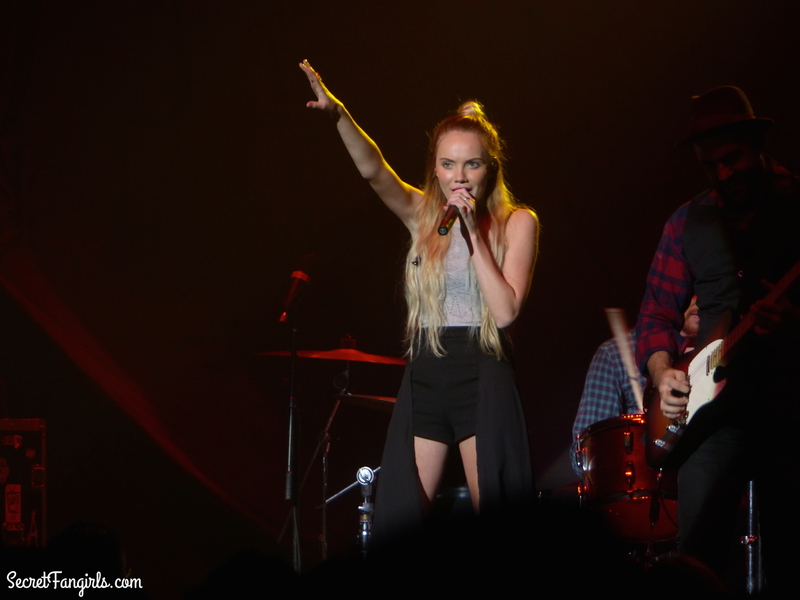 Opening act Danielle Bradbery’s set highlighted her powerful voice and gave her a chance to show off some new tunes she’s been working on. “Shot of Whiskey” got the night off to an energetic start. 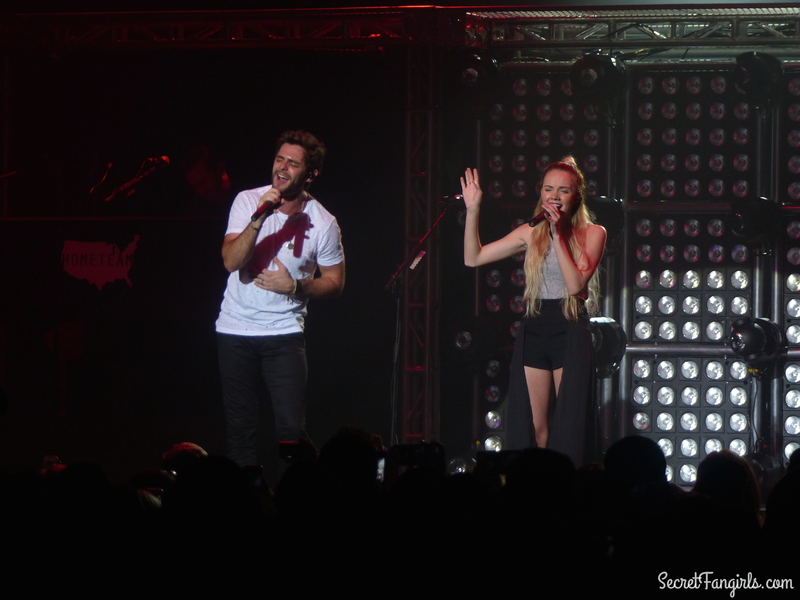 Danielle later joined Thomas on stage for a duet to “Play With Fire,” which Thomas sings with Jordin Sparks on his album. 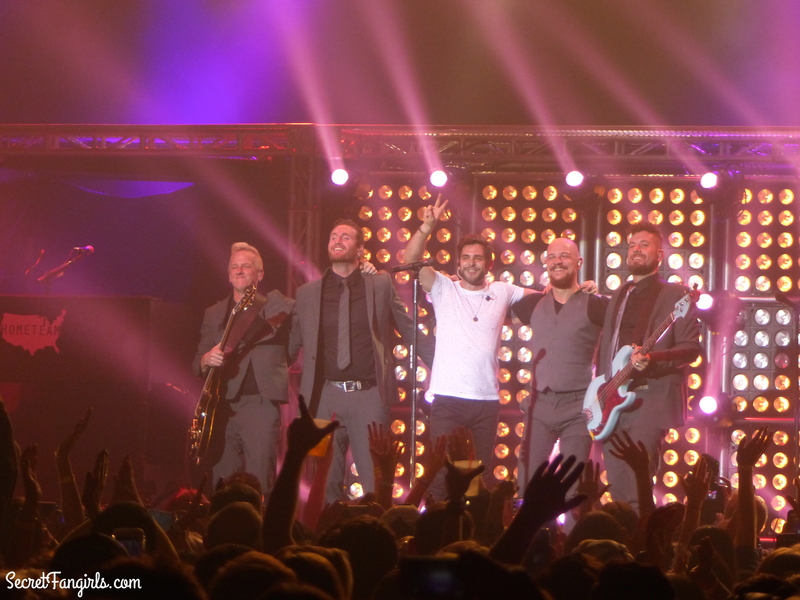 If you have a chance to make it out to the “Suits And Boots” Tour, GO! 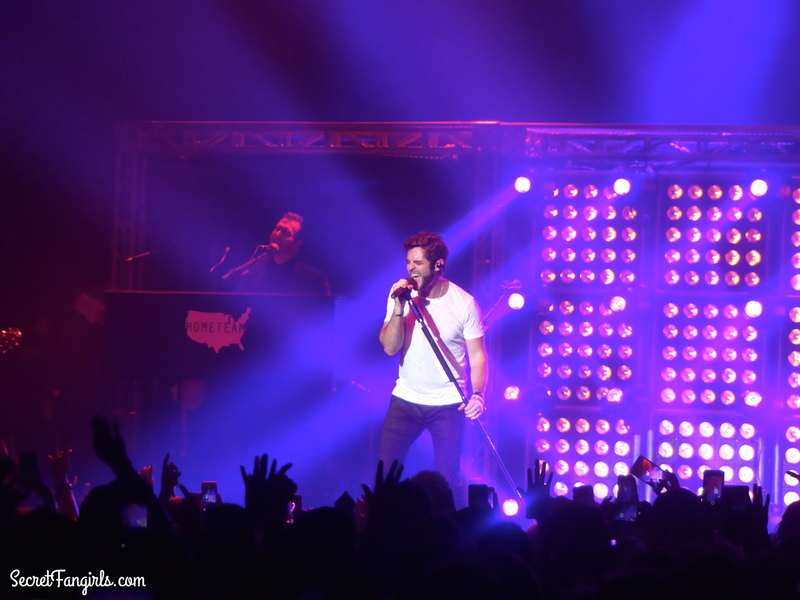 Check out all of the upcoming tour dates HERE!